As a freelance translator, you are effectively a business owner, and as such, getting new business is one of your core objectives. Unfortunately, many freelancers don’t do themselves justice when selling their services and end up with less work than other translators who may be less linguistically gifted, but more business savvy. 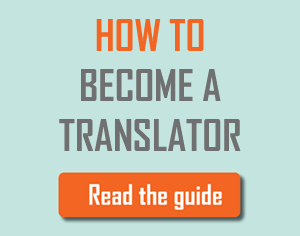 If you are struggling to win new business from translation agencies, one of the first places to look is your CV. Your resume is your outbound sales person, the first contact a prospect has with your personal brand. It needs to convince people to give you a shot and start a conversation with you. And it needs to beat hundreds of other CVs sent each day if you hope to win jobs. That’s why you want to make sure your CV is working hard for you. But how do you write a great CV? As a general rule, when trying to communicate effectively it is important to start crafting your message with the reader in mind, and your resume is no exception. By asking yourself who will be reading your CV, you will be able to tailor the content and style accordingly. For example, a Project Manager at a translation agency might prefer more technical jargon compared to a direct client, who might instead look for proof of efficiency, quality or ROI in previous projects. When reaching out to translation companies, remember that you are sending your CV to professionals who have experience in the field and know what they are doing. Whatever their job title, the one thing they have in common is that they have little time, they know what they are looking for and they want you to make it easy for them to pick the right candidate – you! In traditional employment, a CV should have one job and one job only: to convince people to meet you, for a chance to “sell” yourself in person at an interview. It needs to get you added to the database – you probably won’t have the luxury of a face-to-face interview, so your CV should make you stand out, and persuade the recruiter that you are the perfect candidate for either a test translation, imminent project, or for future requirements. You do this by creating a solid CV which contains trust signals such as the number of years of experience, past clients, technical expertise, certifications, achievements and references. It needs to re-sell you when needed – Once your CV has been stored, its job is not done. In fact, your information will often sit in a database, ready to be downloaded at the right time, when you are most needed. This is true especially at the beginning of your working relationship with an agency, when they don’t have experience working with you yet. Project Managers will often query the database for very specific terms, such as language pairs and specialisation. That’s why you should remember to include keywords and possibly place them either at the top of your resume or at least make them easily noticeable to recruiters. With time, the team will begin to trust you and you will build a relationship, so they will know when to call you – ideally, you want to become their go-to person for your specialisation and language pair. You do this by working hard, delivering on time, being a pleasure to work with and achieving the highest levels of professionalism. Your resume should inspire trust and exude professionalism while making you stand out from the crowd. And it needs to do all that without being too long – not an easy feat. When deciding what to include, it’s important to keep in mind the theme of your cv and be ruthless in excluding irrelevant information. Remember that you don’t need to limit yourself to one CV, in fact, you should have several, tailored to the job you are applying for. The services you provide besides translation. e.g. proofreading, copy editing, voice over etc.. Relevant professional experience, with examples of projects you have worked on and, if possible, a list of clients. CAT tools and other software that you can use and own. You may also decide to include your prices, to make the Project Manager’s job easier. Additionally, a Profile/Summary section can be a great way to articulate your unique selling proposition (what makes you different from other translators) and give a snapshot of your skills. This is where it gets trickier, as there are no universal rules. A lot of it will be based on your own judgement. While language pair, for example, is fundamental, a hobby of yours can fit both categories. Does the recruiter care that you like sailing? Generally speaking, no, but you might just be perfect for a marketing or technical piece for a boat manufacturer. The best way to think about it is that each piece of information should “fight for the right to be there”. Does its existence bring any value at all? Does it work with the overall theme? Are you making a new point or reinforcing an existing one without repeating yourself? Having said that, some things are frankly unnecessary. A lot of information that candidates often include in resumes for other jobs is useless in your freelance translator CV (most Europeans seem to be guilty of this). For example, your marital status will have little effect on whether you can deliver a quality translation. Also, there is no reason to include a photograph. There is no one design that’s better than others. When choosing how to lay your CV out, just keep in mind the legibility of the document. The information in your CV is far more important than the design; however, you should aim to make your resume uncluttered and professional. A quick-to-scan CV is easier on the eyes and makes the job of the recruiter easier, removing another barrier to success. Standard CV practices apply: try to keep it short if possible, as peoples’ attention spans are getting shorter these days. Before listing all the jobs you ever had, ask yourself “so what?”– Perhaps you worked at McDonald’s when you were 20. How does that relate to translation? Even if you have a lot of experience in the industry, you don’t have to include every single project and agency or client you worked for. You are in the enviable position of being able to include only your most impressive work/references. Make the most of it. Your CV is constantly competing for the recruiter’s attention. The easiest way for you to stand out is to make it easy for the reader to find the information they are looking for. This means you need to be focused and not try to appeal to everyone. Start by identifying the target, create a theme, and make sure the keywords and the most important information is there. If required, create several versions for different jobs. Finally, pick a clean and professional layout and your CV is more likely to be read which means that you’re more likely to be considered for roles. From then on, it’s all up to you. Do good work, build long-term relationships, hone your craft and you will thrive. 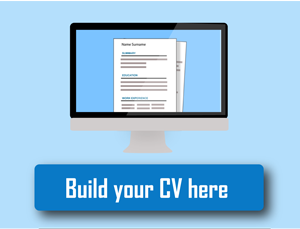 We have created a free tool to help you create your CV online. Simply follow the steps presented, filling in your information as you go along. Once done, you will be able to download your CV in Word format, ready to be sent or edited to fit your taste.